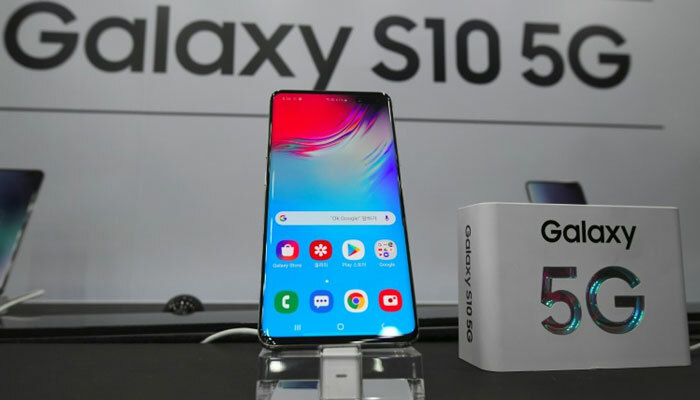 Telecom giant Samsung Electronics on Friday released the Galaxy S10 5G, the world´s first available smartphone with built-in fifth-generation communications, as South Korea seeks to build a lead in the transformative technology. South Korea´s three mobile carriers -- SK Telecom, KT and LG Uplus -- held launch events across Seoul for the Galaxy S10 5G, whose base version costs 1.39 million won ($1,200). By Friday afternoon, 15,000 buyers had subscribed to the LG UPlus 5G service, and more than 10,000 to KT´s offer, the carriers said.